The future, what do you mean? How can we be in the future? For decades many of us have been in awe of the possibility of the future. Not that long ago the thought of carrying a single panel computer capable of presenting music, film, books, and games was nothing more than science fiction. I live by the belief that if man can envisage it, people can create it. Of course, there is the possibility of going too far, as is famously shown in Planet Of The Apes, circa 1968. For now we can sit back and relax with a small and hopefully harmless portion of technology that seemingly has the effect of enhancing our lives. Every generation experiences a difference. I grew up during a time when phonograph records, cassettes, and compact discs were the only ways to purchase and consume music; movies were delivered on VHS tape; and gaming was stuck in the 8-bit cartridge world. My children in contrast have grown up with an iPad and will take the technology for granted and treat it as just a commodity for securing entertainment. Video famously killed the radio star and the iPad is quickly killing off physical media as we know it. At one point in time you could find out what someone’s personality would be akin to by viewing their music, movie, and book libraries. No longer is that possible. The content has become subjective, and due to advancements in technology it no longer needs to be put on display. Music, movies, television shows, books, magazines, and games are now all available on demand regardless of time of day or location. Music has played a significant role in societies around the world. Various cultures have used music as a form of expression of historical events or religious beliefs. Modern society has used music to break the status quo and individualize oneself with a sense of personal empowerment. Apple and the associated iTunes Music Store initially opened on April 28, 2003. It has since become the premier retailer of legally purchased downloadable music, boasting over 20 million songs in its catalog. Music is still available on physical media in 2012 and a resurgence of vinyl records has been occurring in the past few years. There still is something special about holding an album in your hands, reading the linear notes, and letting the music transform your thoughts whilst following along to the lyrics and singing out loud. I wonder, and have posed this question many times on Not Another Mac Podcast. Do we really listen to music anymore? Living life as a teenager in the nineties brought about the opportunity to own a cassette and compact disc Walkman. I remember when a digital radio tuner on one of these devices would impress peers along with the inclusion of remote controls on the headphone cable. Plus they had buttons, the more the better, even if your didn’t use them. Some would also contain equalizers on the front of the cases and it was simply amazing technology for the time. 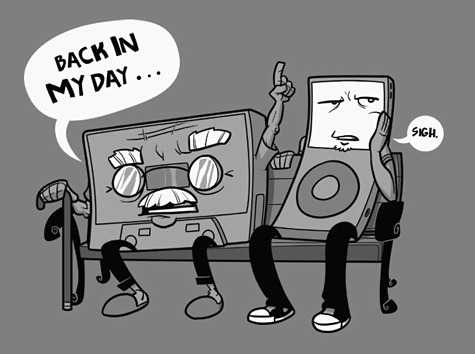 Fast forward to the introduction of MP3 players and a shift started to occur. Apple was not the first to market with an MP3 player but in the late nineties things started to change. Napster was the rage and gave people all over the world the ability to share and download music content. Albeit illegally. As a result the mix tape would never see the light of day again. With negativity comes positivity and the iTunes Music Store offered consumers a legitimate alternative to downloading music at anytime, from anywhere a mere four years after the introduction of Napster. It was nothing short of an revolution and one that would forever change the way we purchase and consume media. None of us knew at the time where this technology would lead and even today we can only imagine the future possibilities. Recording companies despite their support of platforms such as the iTunes Music Store still have not fully realized the potential of online sales. Many albums are still released at the retail level containing more thorough liner notes and an additional disc. Some also contain live video footage or additional mixes of tracks. Their iTunes Music Store counterparts in many cases only get the standard album version thereby not fully supporting the digital download options. In September 2009, the iTunes Music Store introduced iTunes LP. This format allows consumers to experience their music in a different way, that is reminiscent of traditional long-playing records. The addition of interactive menus, liner notes, video clips, interviews, memorabilia, and artist or band photographs can be displayed and enjoyed on a Mac or PC, and in some cases on the AppleTV if supported. The iTunes LP format is a fantastic complement to, if not replacement for, traditional physical album artwork and additional content. Let’s not forget that digital downloads and sampling of music tracks has helped music expand to a wider audience. Going back a decade and you would have without doubt purchased an album that only contained two or three songs of interest to you, and now you can buy those songs at will. Alternately, you may have discovered new music as a result of the Internet and its ability for you to try before you buy. Some artists are still remiss in making their music available for digital downloading. AC/DC is one of the world’s largest and most respected rock bands and has thus far rejected the call to move into the digital arena. Often the argument is made is that artists do not wish for their music to be split up and purchased independently, and that their album is a body of work that collectively tells a story. I agree to a certain point but their argument is erroneous when iTunes gives artists and recording labels the right to present the album as they see fit. If you are a regular purchaser of film or stage show soundtrack albums you will come across many that are sold as “album only”. This flexibility should be all that is needed for the artists and bands still not on the platform to take that final step. Apple is determined and often succeeds in changing the future by delivering products and services we did not know we actually needed. I believe the days of music being distributed on compact disc are dead. I wonder how many people purchase a compact disc and then rip the content into iTunes anyway? No one other than audiophiles will undertake the laborious task of changing discs when the time suits unless they don’t have another alternative. Audiophiles will always argue that digital music, especially that provided by iTunes and other MP3 music providers, is of lower quality for the same price than that of physical media. Ultimately it is up to individuals as to how they wish to consume music and many would prefer convenience over quality. Quality is also subjective and dependent on not only high end audio equipment but the hearing ability of the consumer. As digital downloads continue to increase in popularity, I believe we will see future physical delivery methods fade into the pages of history, and become a specialist retail entity before finally becoming obsolete. The world of motion pictures has transformed the way we visually consume information across a wide range of genres, be it factual or fictional. Many people use the format as a leisure activity whilst others use it for the value of information from documentaries, for example. Whichever approach you, use there is no escaping the fact that motion pictures offer us a window into a world filled with emotions and expression, that we would not be able to experience in our lifetimes should film have not become available. On any given day I can transform into a crew member on the Starship Enterprise, or become a mobster of the Corleone family, or visit our world, history, and universe through the format. 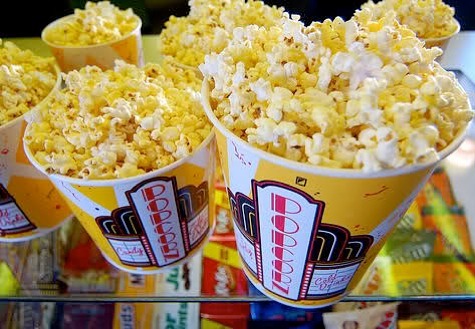 Prior to the 1970s, films were for the most part consumed in theaters. After an initial run many movies were closed to the public unless being presented via television or an additional theatre run. In the late 1960s, Super 8 mm film was available to those who could afford it. Very few feature films were distributed on the medium. Charlie Chaplin and Walt Disney Studio films were among the rare. Fast forward to the 1970s and 1980s and home consumption of movies and television shows was limited to Betamax or VHS. VHS won the Betamax vs. VHS war in part due to its lower retail pricing, and willingness to license the format to manufactures other than JVC to produce the hardware. For the first time in history we were able to affordably watch a movie in the comfort of our own living room. For many years VHS was the format used for movies, television shows, live concerts, and documentaries. VHS would suffer a severe decline with the adoption of DVD. The format was an incredible leap forward in visual and audio quality. As the price of DVD players reduced to a level where mass adoption was possible VHS started to fade into oblivion. For home consumers this was a step in the right direction. DVD offered surround sound and visual quality that was finally worthy of the term “home cinema”. DVD also introduced additional features such as behind the scenes videos, interviews with the cast and crew, or various camera angles (a feature that was rarely applied). Once films and television were available in a digital format that did not degrade upon each subsequent playback, the consumer market saw additional opportunities to view their movies via a computer as well as their home cinema. DVD, with a higher capacity and lower production costs compared to VHS tape, also allowed for more television content and obscure programming to be ported to the medium for rental and sale. It was inevitable that the mass adoption of home entertainment equipment and media with higher capacity would mean the trend of quality would improve. As Blu-Ray has become the format of choice after the HD DVD vs. Blu-Ray war we can also ponder when the next significant upgrade from Blu-Ray disc will arrive. Many people surmise online digital delivery will be the method of choice but in reality we will see additional physical media. I don’t believe further physical media will be successful due to the constantly increasing popularity of motion picture rentals and purchasing from services such as iTunes. Videophiles will inform and encourage the general public that Blu-Ray is superior to that of digitally downloading. I agree with them. The visual quality compared with that presented by iTunes can not be matched. Although, there are cases where motion picture studios have not taken diligent efforts to port a movie across to the new format adequately, thereby devaluing all other content on the format. As with music, motion pictures now offer a purchase anywhere, anytime option that physical media can not match. I would say most people including myself choose to watch a movie, TV show, or documentary at the last minute. Perhaps plans have changed or there is nothing to watch on television, or perhaps you just feel like watching a good movie that you don’t already own. iTunes and other on demand video services gives consumers the ability to make a decision and consume content when it is most appropriate. I have also witnessed over the years how many DVD collections of my own family and friends go unwatched. It is wonderful to have a copy of a film when you feel like watching it but how many times do you find yourself doing so? After all there is a plethora of fantastic movies being released every year to catch up on. As a result I no longer purchase movies unless the rental version is unavailable in iTunes. Renting allows me, for a fraction of the price, to watch the films I love without owning them. You can evaluate this yourself. Take a serious look at how many times you watch a specific movie you own. If a movie is priced at US$14.99 and the rental version is US$2.99 then you can rent the movie up to five times before you have paid the equivalent of purchasing the rights to own the movie. Many movies in everyone’s collection would typically be played less than five times in the complete timeline of ownership. The exception being if you were an avid fan or cult follower of the film. Supporting my argument for rental versus purchasing is the fact that I am tired of purchasing Star Wars repeatedly, first on VHS, then DVD, and now Blu-Ray. Renting via either physical media or digital download allows me to have the copy I want when I want it. If I purchased a movie today from iTunes in 720p, am I going to be able to upgrade that movie when iTunes inevitably moves up to 1080p video quality? Or if I purchase today on Blu-Ray will I need to further invest in a future technology that has yet to reach market? Renting simply means I never get left behind and never again will purchase the same content on additional physical formats. More options will arise on physical media for motion picture lovers but I don’t see the future being driven by this technology. 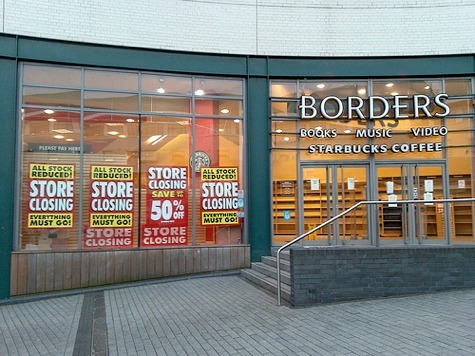 Retailers are suffering massive losses due to the availability of content online. As we enter 2012 the traditional book and magazine publishing industries are no longer the information powerhouses they once were. The Internet via free, ad supported, or paid content will reign. No longer are we content to go and purchase a physical copy of the book when we have devices such as the iPad or an Amazon Kindle Fire. I often refer to an uncle of mine, who in his retirement years has travelled extensively. His other passion is reading biographical accounts of historical figures and events. Prior to 2012 he still purchased and read physical paper books and would assign a single luggage bag to the books he wished to consumed on his travels. He now owns a Amazon Kindle Fire and he is amazed at not only the fact that he can carry thousands of books with him all over the world, but also the affordable nature of the eBooks vs physical paper editions. If you’re like me you will still appreciate a physical book. The texture of the pages, the smell of the print, and the weight in your hand can not be denied. There is something special lacking explanation for the satisfaction you receive when reading a physical copy. In saying that I no longer purchase books in print anymore. I have fully adopted the digital revolution and feel sorry for my local bookstore who will, in the near future, go out of business. I don’t even take the physical books off my bookshelf anymore as I prefer to find their digital alternative. A fantastic collection of books and associated authors are sadly sitting on the shelf as a dust magnet. The iPad, iPhone, and iCloud integration has spoiled me. I can be reading a book on the iPad and then have the bookmarks, highlights, and notes automatically sync’ed between devices using iCloud as the intermediary service. It offers me the ability to continue reading on the iPhone should my iPad be unavailable. You certainly wouldn’t want to read a complete novel on the iPhone but the ability to conclude a chapter, or just catch up on a little reading in your daily commute, is certainly appealing. Magazine subscriptions are also suffering as digital methods become common place. Although similar in many ways to the book publishing industry there is a distinct difference. Much of what is published in traditional magazine or newspaper printed formats is freely available or ad supported on the Internet. In many ways the tabloid industry has adopted quicker with more options for financial benefit than book publishers. We are seeing magazine publications such as Macworld release an advertisement heavy website, along with an iPad app, and newsstand subscriptions to ensure Macworld’s future as a high quality publication. With the implementation of blogs and social networks such as Twitter, Facebook, and Google+, news on every topic is available at the click of a mouse. That isn’t to say it is quality. Much of the content released outside of traditional news sources is subject to an individual’s own creative abilities, biased opinions, and in many cases limited knowledge and research of the content. There have been many cases where the public has been mislead due to blogs or social networks reporting events that have not happened, such as celebrity deaths. Whilst there is a downside you also get different points of view. Many independent publications challenge the traditional print and subscription model with high quality research and reporting. In years gone by I would subscribe to physical copies of Macworld. During the past couple of years I have purchased the occasional copy of the magazine and have given up subscribing altogether. It is not because I dislike the publication. I still in-fact read many articles published by Macworld. I just opt to do so via their website or iPad app. Digital publishing for Magazines bring about a unique opportunity. Apple has recently unveiled the iOS app Newsstand that allows consumers of their devices to purchase and subscribe to the magazine of their choice. In many cases back catalogue editions are also available. Moving production to the digital realm allows new and unique opportunities to publishers for advertising and sales. Outside of literacy circles where first edition copies are the must have, book publishing in a physical format is certainly dead and is evident by the demise of book retailers throughout the world. Video games buck the trend when it comes to physical media. Each platform has its own physical media option with some having online distribution models as well. Never before in an entertainment medium has there been this volume of diversity of physical media options with such success. Let’s consider the music industry for a moment. Compact disc replaced the vinyl and cassette albums and all three formats were only available for a few years until public interested deemed vinyl and cassette no longer viable. The same has happened with the movie industry where DVD took over VHS, and Blu-Ray is now positioning itself to do the same to DVD. The gaming industry in contrast has proprietary discs or cartridges depending on your chosen platform. Serious gamers will have more than one platform and will in most cases undergo a decision making process over the version of a game they are going to purchase. Removing the proprietary formats from physical media to downloadable content will not solve the problem of cross platform compatibility. Each gaming manufacturer develops their own systems to independent specifications that in many cases are not easily or affordably transferable. What we are witnessing instead is a revolt by the consumer to a simpler and more affordable alternative. Welcome to the iOS App Store. In 2011, we saw some amazing titles being released, proving touch gaming had matured. Two in particular were The Adventures Of Timmy: Run Kitty Run and Shadowgun. I’m in no way suggesting that the iOS platform has matured to a level that will take over other gaming options. It can not be denied that iOS offers a unique gaming experience at a fraction of the cost of traditional physical media games on completing platforms. In todays gaming world you really need to ask yourself; what games do I want to play? Successful video game franchises are often ported to all current platforms with varying degrees of success. What separates the formats is the ability for exclusive franchise agreements and first party titles. If you want to play a Mario Series game you will need to purchase Nintendo hardware, God Of War is exclusive to Sony, and Gears Of War is the domain of Microsoft and the Xbox 360. In defense of the Xbox 360, Microsoft have on more than one occasion ported titles such as Halo and Gears Of War to the PC, albeit at least a year after their initial release. After Sony’s PlayStation Network outage I found myself moving away from the platform due to the way they dealt with the external attack that resulted in some 77 million accounts being stolen. Initially, I spent time gaming with iOS and was somewhat satisfied. The level of financial commitment was significantly less but in many cases so was the quality from some iOS developers. Sony, Microsoft, and Nintendo all offer a variety of online distribution. The primary focus is still on physical media and in most cases very few titles are available for online purchasing. Steam has bucked the trend in the video gaming industry by offering a wide range of PC and Mac games via the Internet. The prices in many cases are more affordable than their physical media counterparts. Gaming as you can see is a difficult industry to predict. There is a massive second hand gaming market and game developers would certainly benefit from that side of the industry disappearing into oblivion. Yet new consoles are being released such as the PlayStation Vita and the soon to be released Nintendo Wii U that still use, and primarily rely on, physical media. Due to propriety formats the gaming industry looks set to be the one form of entertainment that continues the physical media approach for new generations of their hardware. Inevitably physical media will be dead for this format but today it is alive and well, and is reliant on the first party exclusive software titles to continue the push of this medium. The one issue standing out most when discussing physical media is the impact it has on the environment. Moving this content to the Internet limits the environmental impact of packaging, printing, distribution, and landfill. Restricting the move especially for the motion picture and gaming industries is the lack of Internet conformity around the world. Available speeds and prices vary between regions thereby preventing a wide scale adoption of high speed unlimited Internet. Music has definitely left the compact disc and there is no new physical media to re-invigorate and replace CD. DVD-Audio and Super Audio CD were set to be the replacements but neither option gained significant traction in the consumer market. Digitally downloadable music from sources such as the iTunes Music Store will continue strong as people continue to adopt devices such as the iPod, iPhone, and iPad. Movie and TV Show viewers will not be limited to physical formats. Watching a film is a leisure activity and the simplicity and instant gratification of Internet delivery will far outweigh the want of obtaining a higher quality physical medium. Books and magazines are already moving to the digital realm at a astonishing pace. Readers see the value of purchasing books to complement their tablet devices. Many people I know have even stated they now read more books. This is due to the simplicity allowing consumers to read whenever and wherever they are. Gaming is a mixed bag. If Steam has proven anything to the gaming industry it is success can still be achieved with online distribution. 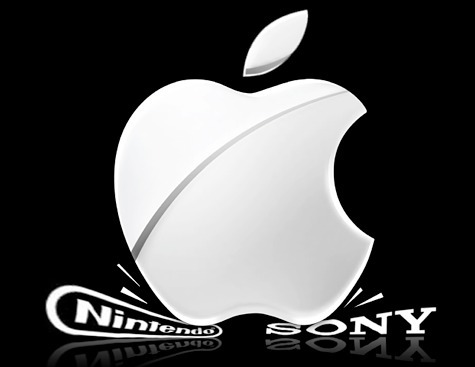 The limitation with this industry will rely on the system developers Sony, Microsoft, and Nintendo. If they fail to embrace the online distribution model it is almost certain that in years to come their business will deplete to a level of instability. Whether or not you believe physical media is dead, there is no denying that formats will change and the way you consume your content today will not be the way you consume your content in years to come. I’m a huge hater of physical media. DVDs are just something that get in the way and make it hard to listen to more than 10 songs at a time. And the movie format wars get really old, as you say. VHS. DVD. BluRay. On and on and on. Forget it, guys. Just sell it to people who want it, and quit trying to censor the internet in the process. However, I do have to say that while I love ebooks and the theory of ebooks, I don’t like that they generally start off fairly expensively and cannot be loaned to others. Obviously the publishers would love it if everyone had to buy their own copy of a book to read it, and in fact that’s the system they’ve created. I cannot easily borrow a digital book from any of the major outlets (Amazon, iBooks, or… um. Who else is there?) from a family member, nor can I loan them one. Amazon does allow some sharing, but the book publisher has to ok it, and there are certainly limitations. Also, with books that have DRM, we have to trust that the DRM format being used will survive for decades or that the seller will give us a way to keep our books moving forward if it does not. With physical books, you can keep them in the family hundreds of years if you take care of them. With digital books, it’s a crapshoot thanks to the DRM, and they can’t be passed on to your family anyway. I wonder if anyone’s noticed that music sales have not plummeted and piracy has not run rampant with DRM being lifted on digital music from all the online music stores. You’d think the book industry and movie industry would see that, but they’re too busy lying to congress about how many jobs in Hollywood have supposedly been lost (search the internet to find evidence of their falsifications, the numbers don’t add up). All in all, it’s still a bit of a conundrum. Content publishing companies, both books and film, are too greedy and hate their customers. To them, we’re all thieves and stupid, mindless eyeballs, good only for doling out our dollars and getting ONE locked down copy of something to use the way THEY dictate to us. They’d lock down the entire internet, given a chance, and indeed they tried and are still trying.